The town of Oakville council unanimously voted to make Glen Abbey golf course a heritage site late Monday night. In 2015, ClubLink Corp. proposed a plan to build 3,222 residential units and 122,000 square feet of commercial space on the site, leaving 124 acres for public green space. 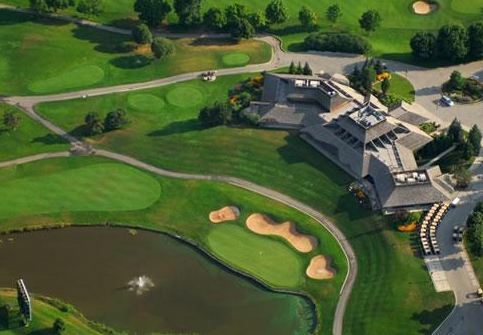 The latest vote from Oakville council will now make that proposal an even bigger challenge moving forward and signs are pointing to the survival of Glen Abbey as a golf course. Oakville as a whole has built around Glen Abbey over the years. It’s been central to the design of the town. Certainly when a lot of people think Oakville, they think of Glen Abbey. As other areas of Oakville were swallowed up by single detached homes, it became more and more important for Glen Abbey to stay as it is. Glen Abbey was created by Jack Nicklaus and he spoke with Bob Weeks of Golf Talk Canada about the history of the course and what it means to him.